If you operate a multi-user telephone system, chances are you need to understand how to provide this functionality. But how? Online research will reveal a plethora of resources. The National Emergency Number Association (NENA) provides guidelines, research, industry updates, and other information; however, it'sfocused on the industry and not the end-user or enterprise phone system provider. The FCC also provides very basic guidelines. There is no organization or resource that I could find that focuses on the considerations of a multi-user phone system. Some vendors do provide useful documentation, but it is written for those who already understand the technical details and gotchas, and can't account for the vagaries of the providers. Services such as West and Redskye provide some useful information, but it is, reasonably, geared toward guiding you to their services, which are viable options to consider. Evangelists for improving the function and efficacy of emergency call services are a great resource for understanding the how and why of the technology, as well as where it came from and where it is (or should be) going. And yet none of these resources is likely to help you understand exactly what is required to and what you should do to most effectively provide E-911 services on your configuration. Tune in to this No Jitter On Air podcast episode for more on E-911 implementations from IT expert Irwin Lazar, of Nemertes Research. 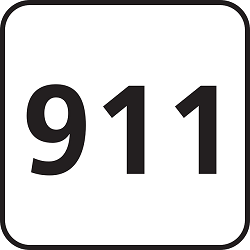 Why is E-911 So Confusing? The laws defining E-911 responsibilities and requirements are primarily state laws. And the laws aren't consistent across states -- or written clearly with useful detail, in many cases. This leads to there being a lack of helpful information available because no organization wants to expose itself to liability by suggesting something online, with a global audience, that may go against local regulations, in a life or death field with emotionally charged headlines. The background environment of telecommunications itself is confusing. Phone systems in use today comprise a vast range of ages, technologies, and manufacturers. Providers vary greatly, and the back-end of emergency call services involve providers that may be fully or partially subsumed into those providers but are referred to separately due to the regulations that mandate their existence. The most painless option in a confusing landscape can be to outsource to an expert or to a service that will provide everything, for a fee. That doesn't provide a lot of incentive for organizations to invest time and energy exposing itself to liability by providing information that we all hope is going to become obsolete sooner rather than later with modernization of the system. When an emergency call is made, a number is provided as a reference. This can be the calling number or a primary number for the building -- or something else entirely. This number is used to query a database for the location information to provide with the call. This location information should contain the address and potentially floor, wing, and room information. The location information database is typically supplied by a provider, possibly your telecom provider but also potentially a third party. While the concept is simple, the application of that concept to a specific deployment can quickly become complicated. Open office plan? Moving phones? Mobile or remote users? Softphones with BYOD? What about SIP trunks or cloud telephony? Somehow, a number must be chosen to send with the emergency call. The database must contain location information for that number, which must be accurate -- inaccurate information could be worse than useless. The organization with the phone system likely needs its own database or process for relating numbers to locations, in order to keep that information current in the provider database. And the organization needs to incorporate processes that ensure this information is maintained and understood. Generally, the location information must be supplied to the database separately, at regular intervals, or when there are updates. With some providers, location updates must be made manually, such as through a Web interface. When you consider the scope and size of your deployment, you may balk at that option. It is also possible to have updates pulled directly from your directory service if your provider supports that. For SIP calls, there is a standard which allows location data to be sent at the time of the call in the SIP header, and some third-party services can take that information and immediately update the database so that the most current information will be provided with the emergency call -- though this requires routing the emergency call through those services. Some UC systems will incorporate a function to conditionally relate location numbers to outgoing calls, based on details such as the network port from which the call was placed. For other systems, a gateway may be required to perform this function using information passed from the phone system and location information supplied by the organization. There is also the option of routing all emergency calls through a specialized emergency call provider, directly or through a gateway, and working with that provider and their products to ensure the information is passed accurately. It is possible that your phone system is capable of providing the current location information with each call via the SIP header, but doesn't provide a method for associating the number used for the location query via analog calls. In that case, a gateway or service is necessary to take that location information and associate it to a number that the provider database can use to provide the location information stored there. How will you account for remote, mobile, and moving users? How often will updates be necessary? What are the challenges to keeping the information highly accurate? What are the potential oversights that may develop as the installation ages and circumstances, needs, and technologies change? How will processes be kept up to date? Who is responsible for staying up to date on changes to regulations, technological capabilities, and expectations of the users or customers of your UC system? Inaccurate information may be worse than no information, as it may lead to assumptions instead of questions. What does the system provide when it doesn't know what to provide? This is by no means a comprehensive breakdown of the options and limitations of E-911 configurations. But it should provide a rough understanding of the considerations necessary, and the complication that accumulates rapidly when you need to make the relatively simple system work for your specific deployment. The accuracy of the location information provided via your E-911 functionality can mean life or death in an emergency. It is vital information. Understanding how accuracy, currency, and reliability can be achieved is going to require information that isn't always readily available or obvious. It is critical that processes are in place to keep information up to date and supplied accurately. There are resources available, but they are thin, they won't have the level of detail you'll need, and they likely won't cover the specifics of your combination of phone system, deployment, and provider. So find an expert to help.